Stephen A. Mullings is an insurance defence litigator. He was called to the Bar in 2001 after receiving his LL.B from the University of Windsor and an Honours B.A. from the University of Toronto, with a Specialist in Political Science and a Major in Philosophy. 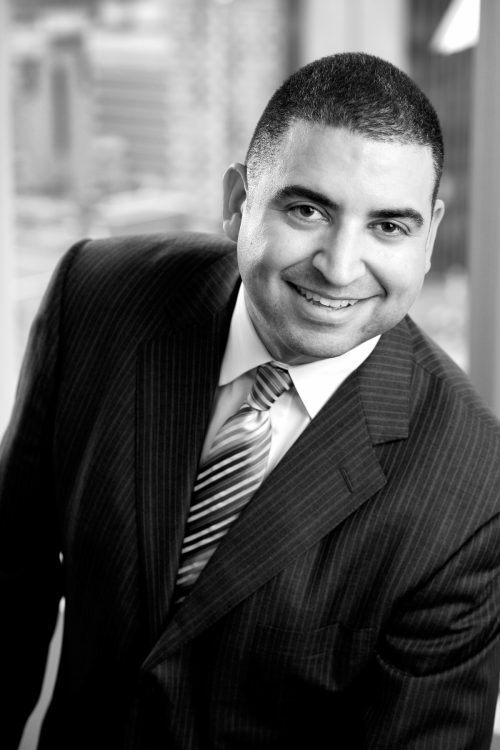 Stephen articled and served as an associate before becoming a partner at Dutton Brock LLP in 2009. He has appeared in the Federal Court and at all levels of court in Ontario, conducting trials before both judges and juries. His practice includes claims involving products liability, professional liability, construction claims, property, general liability, and tort motor vehicle claims. Stephen has lectured for the Toronto Lawyers Association, and for various insurers and self-insureds on a variety of topics including products liability, occupiers liability, tort motor vehicle claims, ethics and professionalism and articling. Stephen is a Co-Chair of the Student Programme at Dutton Brock. He is involved in various legal associations. Stephen is a Past President and former Director of the Toronto Lawyers Association. He has served as a member of the Toronto Bench and Bar Committee and as a panel member of Case Management Master Competitions. Stephen is also a member of the Advocates’ Society, the Ontario Bar Association, the Defence Research Institute and Canadian Defence Lawyers. Stephen received his Honours B.A. in 1995 from the University of Toronto where he specialized in Political Science and majored in Philosophy. In 1999, he was granted his Bachelor of Laws from the University of Windsor. He was called to the Bar in 2001.